Pointwise's meshing software has been applied to virtually every major military aircraft and spacecraft in the last 30 years including the F-16, F-15, F-18, F-22, F-35, F-117, B-2, E-2C, P-3C, Space Shuttle, Space Station and more. You can generate structured multi-block, unstructured, hybrid, and overset meshes for viscous simulations with precise control over point placement and clustering to get the resolution you need. At the same time, Pointwise’s core meshing methods produce cells of high quality to ensure convergence and accuracy in your CFD solution. Using Pointwise’s Glyph scripting language, you can automate most or all of the mesh generation process by writing macros and templates. And the software’s plug-in SDK gives you the ability to write a mesh exporter customized to your CFD solver. Between Glyph and plug-ins, you can customize the entire meshing process from geometry model import to flow solver export. Several meshing techniques and meshing best-practices have been developed while creating workshop-supplied meshes for the 3rd and 4th AIAA Propulsion Aerodynamics Workshops. These meshing strategies and lessons learned have been collected to help CFD practitioners gather experience meshing these types of challenging internal flow problems. This webinar introduces a feature currently in development for mesh adaptation. It accepts from the flow solver a point cloud on which target cell sizes are specified. This point cloud is used as a clustering source in Pointwise to adapt both the volume and surface meshes. The 1st AIAA Geometry and Mesh Generation Workshop was held in Denver, Colorado on 3-4 June 2017 prior to the AIAA Aviation Forum. The goals of this new workshop were threefold: to assess the current state-of-the-art in geometry preprocessing and mesh generation as applied to aircraft and spacecraft systems, to identify areas of needed improvement, and to develop a foundation for development of best practices. This video demonstrates the generation of structured, multi-block grids for a serpentine inlet duct including cells of exceptionally high quality in the near-wall region. Use of PDE-based techniques, both elliptical and hyperbolic, are described. Aerospike rocket nozzles offer increased efficiency over a wider operating pressure range than traditional nozzles. In this study, we compare CFD and experimental predictions of aerospike nozzle thrust for varying pressure ratios and base bleed rates. Pointwise is supporting two AIAA workshops (the 3rd High Lift Prediction and the 1st Geometry and Mesh Generation Workshop) to be held prior to AIAA Aviation in June 2017. We generated several type of meshes (unstructured, hybrid, hybrid overset, and high order) for the NASA High Lift Common Research Model that are described here. Researchers at Pennsylvania State University’s Applied Research Laboratory share an overview of their ongoing work involving overset grid CFD simulations of an incompressible rotorcraft hub they performed using the overset meshing tools available in Pointwise. Preliminary CFD results show good agreement with empirical rotor hub wake measurements. Pointwise has become an integral part of these researchers' toolset as they continue their investigations into important flow phenomena for their sponsors in the rotorcraft industry. Pointwise’s quad-dominant surface meshing and hexahedral boundary layer volume meshing generate smaller meshes in a highly automated manner. When combined with sources for off-body clustering, a fully-resolved viscous mesh can be generated relatively quickly. Pointwise provided a set of standard grids for workshop participants to use at this year's 3rd Propulsion Aerodynamics Workshop in Salt Lake City, Utah. These grids were created using several new features available in Pointwise's upcoming V18 release. An overview of some of these features and the workshop grids is provided. Some initial steady-state results for the S-Duct using these grids and NASA's FUN3D solver are presented. Mesh adaptation techniques in computational fluid dynamics (CFD) applications have matured substantially over the years, yet still few people seem to be leveraging them to their advantage. In this article, some background on why you should be using mesh adaptation to make sure important flow features are resolved without an inordinately large overall cell count is presented along with an example using Pointwise and NASA's FUN3D solver. This video demonstrates best practices in Pointwise for adjoint-based, hybrid mesh adaptation using NASA Langley's FUN3D CFD solver to accurately compute the flow over an ONERA M6 wing. This video demonstrates the process of generating overlapping grids, setting up and executing Suggar++, and exporting the domain connectivity information all from within Pointwise. We demonstrate an overset flow simulation using the Caelus CFD solver. This webinar demonstrates how Pointwise's Glyph scripting can be used to automate generation of meshes suitable for high fidelity analysis such as CFD and FEA using as an example a generic transport aircraft modelled in OpenVSP. Pointwise recently attended the OpenVSP Workshop 2015 hosted by NASA Langley and demonstrated Glyph scripting for automated viscous anisotropic meshing of a transport aircraft from OpenVSP. With recently added support in OpenVSP 3 for exporting models as STEP files, users now have an easy way to use an analytical geometry representation in Pointwise. The Glyph script automates the meshing process and provides a recipe for recommended meshing practices that new users can adopt when creating their own meshes in Pointwise. Hear about the development and industrialisation of HO CFD methods, gaining an appreciation of the current state of the art - as well as a view on the future capability. High-order CFD techniques are attracting considerable research interest, as they offer the potential for significantly more accurate fluid dynamics simulation - particularly in the age of many-core processors (such as GPUs). Pointwise and CFD++ were used to analyze a jet in supersonic crossflow. Together they were able to provide appropriate modeling for accurate results on this relatively simple geometry with complex flow physics with shock waves and viscous effects. SU2 is an open-source collection of C++ and Python-based software for multi-physics, including computational fluid dynamics (CFD). This article discusses three design cases using SU2 with Pointwise: a transonic aircraft, a supersonic aircraft, and student-designed solar car. Researchers at Penn State University are using T-Rex anisotropic tetrahedral extrusion in Pointwise to make high-quality, boundary layer-resolved hybrid meshes for CFD analysis of a critical flight safety issue: ice build-up on aircraft structures. Pointwise and CFD Code Leo were used in a conjugate heat transfer analysis to optimize film cooling for the Air Force Research Lab High-Impact Technologies Research Turbine. The result is a more uniform temperature distribution over the turbine blades. As part of their capstone senior project, engineering students at Technion – Israel Institute of Technology used Pointwise to assist in the detailed aerodynamic design of a highly-maneuverable, supersonic missile they designed. OpenVSP is an open source, parametric modeler used to quickly capture design intent so geometry information is easily provided in the appropriate form for various uses, including CFD. Therefore, several approaches were explored by which OpenVSP and Pointwise could be integrated to automate the volume meshing process for CFD. Pointwise and the SU2 team at Stanford University hosted a joint workshop that walked attendees through the end-to-end CFD process using Pointwise and Stanford's open source CFD code, SU2. Boundary layer transition from laminar to turbulent affects heat transfer, drag, and engine performance, but is still poorly understood. Researchers at Texas A&M are developing computational methods for predicting transition across all speed ranges. Using an aircraft landing gear as an example, this webinar illustrates techniques that simplify working with a complex geometry model and generating a mesh with viscous resolution suitable for a hybrid RANS/LES simulation. 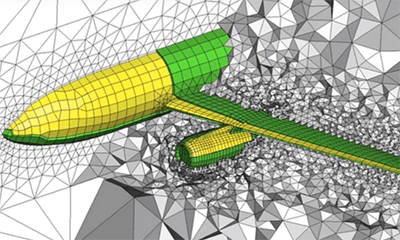 This webinar details how Pointwise and SU2 can be used to tackle supersonic aircraft design. Watertight surface and volume meshes for complex geometries can be quickly generated in Pointwise and exported to the native SU2 format. The primary aim of this project was to investigate the capability of using modern commercial computational fluid dynamics (CFD) packages (Pointwise and ANSYS Fluent®) as tools for analysis and design of rocket engine nozzles. A few weeks ago several Pointwise engineers attended the 22nd International Meshing Roundtable (IMR). They brought with them a grid Carolyn Woeber and I generated for a benchmark geometry provided by the IMR steering committee. Researchers at Texas A&M University are studying boundary layer stability to gain insight into how transitions from laminar to turbulent flow occur. Their research has applications from low-speed flows in which the laminar-turbulent transition location affects drag and flow separation characteristics to hypersonic flows in which the difference between low laminar and much higher turbulent heating rates can determine whether a space vehicle will successfully pass through the atmosphere or burn up on reentry. 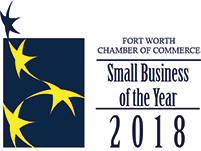 As a company, one of Pointwise's goals is to be a good advocate of the meshing and computational fluid dynamics (CFD) communities. Being an advocate means participating in technical conferences and workshops and with other community members in a non-partisan way. Learn how Pointwise's anisotropic tetrahedral extrusion method (T-Rex) automates creating unstructured viscous meshes on complex geometries in a way that reduces the effort required to accurately predict drag. This webinar demonstrates appropriate meshing strategies while automating the grid generation process using Glyph scripting on the NASA Common Research Model from the 4th AIAA Drag Prediction Workshop. The goal of NASA's Quiet Aircraft Technology (QAT) program is to reduce perceived aircraft noise by 50 percent in 10 years and by 75 percent in 25 years, using 1997 levels as the baseline. The University of Queensland participates in the Pointwise Teaching Partnership program. During 2010, Pointwise was used for our undergraduate thesis courses and a senior elective course in hypersonics and rarefied gas dynamics.